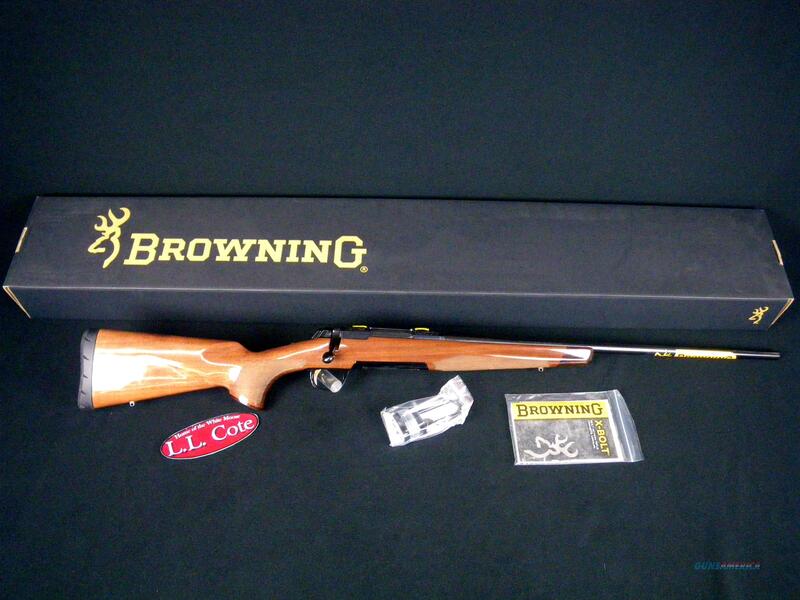 Description: You are bidding on a new Browning X-Bolt Medallion in 300 Win Mag with a 26" barrel. The X-Bolt Medallion bolt action rifle is presented with a fine gloss-finished, checkered walnut stock. The steel receiver is engraved and has a blued finish for beauty and durability. Insuring long-range accuracy is the totally free-floated barrel and Feather Trigger System, two of the most critical components of any high-powered hunting rifle. The action of the bolt is sure, smooth and secure. Rounds fed from the detachable box magazine align the bullet straight with the chamber providing reliable, smooth feeding. This way, cartridges push directly in-line with the bore, sure, simple and secure. And, it is no ordinary magazine -- it is a compact Rotary magazine design that is as convenient as it is efficient. Did we mention the X-Lock system that's offers scope mounting twice as robust as conventional four screw systems. And the Bolt Unlock Button that allows you to open the bolt with the safety on. Many other high-powered, bolt-action rifles may catch your eye. But feature-to-feature, the X-Bolt Medallion has more critical features to help you shoot straight and bag that deer every time, confidently, accurately. Displayed images are stock photos. Any questions please feel free to ask (our phone number is in the additional information tab above).